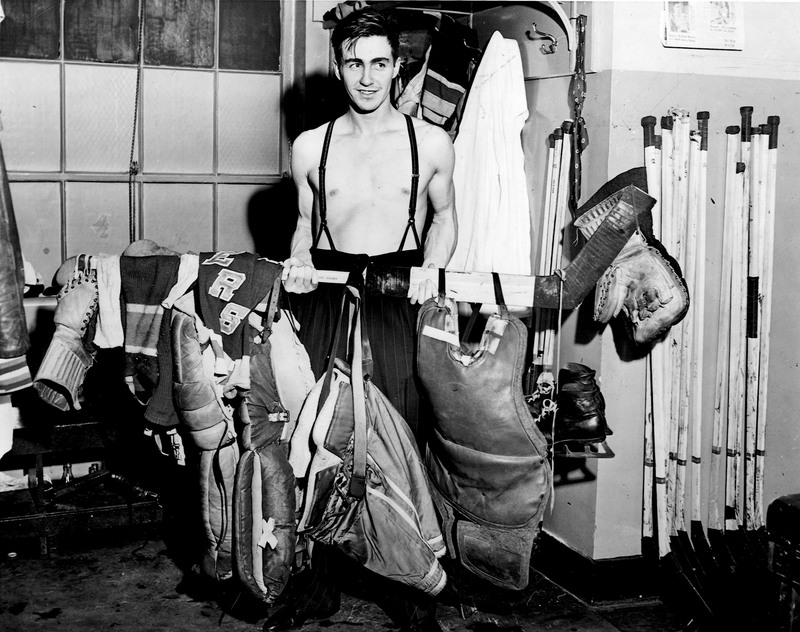 Born on this day in 1920, Sugar Jim Henry got his start as an NHL goaltender as a 22-year-old when he leapt straight from amateur hockey to took charge of the New York Rangers’ net in the fall of 1941. 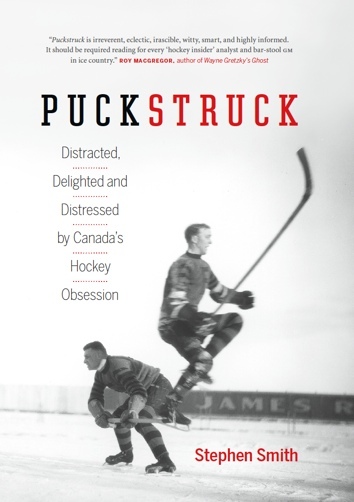 Dave Kerr had retired and Henry, Winnipeg-born, had spent the spring of the year backstopping the Regina Rangers of the Saskatchewan Senior Hockey League to an Allan Cup championship. Henry played all of New York’s 48 regular-season games that first year, leading them to a first-place finish overall. (Toronto, the eventual Stanley Cup champions, beat the Rangers in the opening round of the playoffs.) The following year Henry interrupted his Ranger career to enlist and serve in (while tend ing occasional goal for) both the Canadian Army and, subsequently, the Royal Canadian Navy. Postwar he made his NHL return as a Chicago Black Hawk before catching on as a Boston Bruin. That was him, of course, in the famous photo, shaking hands in 1952 with a just-as-battered Maurice Richard. Henry died in 2004. Sugar Jim Henry, the Brandon netman, gets his unusual nickname through his great love for anything alluringly sweet. Goalie ‘Sugar Jim’ Henry got his nickname for his love of sweets. The nickname, Sugar Jim, came from his fondness for brown sugar, particularly on cereal. With his hair slicked back neatly around a part on the side, Jim Henry was deserving of the nickname ‘Sugar Jim.’ He was a sweet guy and a sweet goaltender in the most positive sense of reach word. He became known as ‘Sugar’ because he loved to get a piece of bread and turn the contents of the family sugar bowl upon it. He was still explaining it almost 50 years later when The Globe and Mail caught up to him for a “Where Are They Now?” segment, though the story had shifted next door once again. “I was always in the neighbour’s sugar bowl,” he gamely told Paul Patton in 1988.